SIBERIAN NEVAS MASQUERADE CATS CATTERY. 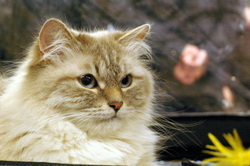 So is the Siberian cat. He is big, calm and strong. It is not until you pick him up in your arms that you realize how powerful he is - you don’t expect the cat to be so heavy and well built. 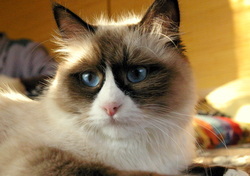 The Siberian is calm and self-confident, as most big animals are, and regards the owner as a soulmate. 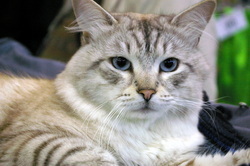 Proud and dignified, the Siberian usually does not like to be petted, cuddled or held. Who would think to stroke or pet a guardian? Thus, if you need a quiet, non-intrusive companion, if you can respect someone who is close to you, look the Siberian cat in the eye.